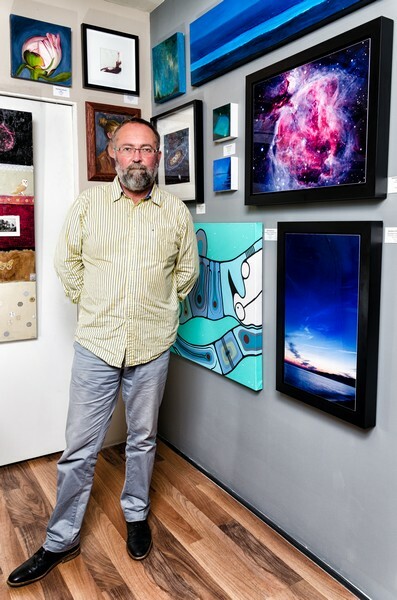 July 5 marks the fifth year for Don Monet and CUBE Gallery’s dark sky, star gazing party, which will be returning this year to its original name, Nocturne. Formerly known in Ottawa as Nuit Noir, Nocturne was launched by Monet at Cube’s original location on Hamilton Avenue. Moving the gallery a few blocks to Wellington West three years ago, Monet brought the concept with a new name. That is, until another night time art party arrived in Ottawa last year, Nuit Blanche. “We didn’t have Nuit Blanche in Ottawa when we first called it (Nuit Noir), people started to get them confused, so we changed the name back to Nocturne,” says Monet. The idea behind Nocturne is completely unique in this country, while remaining beautifully simple: turn off all artificial light and enjoy the natural majesty of the night sky. As urban dwellers we are robbed of our view of the stars by the constant glare of artificial lamps creating light pollution, Monet offers a reminder of what we are missing, a celebration of the night sky, he says. In its third year on Wellington West, Nocturne is gaining traction with the community, and several local businesses are contributing to make this year’s event a real festival. From Won Ton House offering up a special dish called Neptune, all the way down to Alpha Soul Café, which will be running solely on candle light from July 2 to 14, while hosting musical performances and featuring a high-powered telescope on the back patio. The main event will be taking place July 5. Starting at 7 p.m., Julian Avenue (across the street from Cube Gallery) will be closed off and the street lights will be shut down. “Julian Avenue is a really super hip street, if you want to turn the lights off on a street you need 100 per cent of the residents to vote yes,” says Monet, stressing that it is community involvement that makes this event possible. Local band Monday I Retire, featuring Julian Avenue residents, will be providing musical entertainment until 8 p.m., when Professor Peter Watson from Carleton University will be giving a lecture on comets. A fitting sound track to the night will be provided from a rooftop DJ at Cube Gallery, as Kitchissippi residents are invited to roam the street, star gazing and taking in the unique experience of being outside, in the dark, in the city. “I love the idea that it’s just people locally can take their bikes here or walk here, and it’s just a lovely, romantic thing to do, just stroll down a darkened street and at the end of it there are some telescopes,” says Monet. The Nocturne art exhibit will be on display at Cube Gallery July 2 – 14. For more information visit Cube Gallery.